All the webmasters and bloggers have a dream to be on the top in search engines and after lots of smart work, we come #1 or on the first page. But what after reaching the top? If you will not do anything, you will find your ranking gets down by time. There are many tools which help you to track your search engine position and whenever there is any change in the position, it will send you an email so that you can track the necessary action. 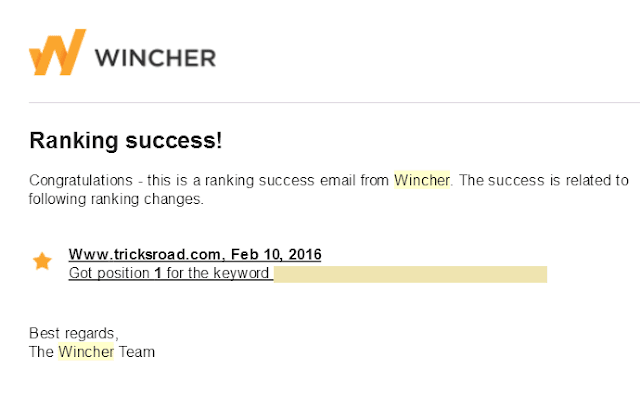 I am using a free tool for this called, Wincher. 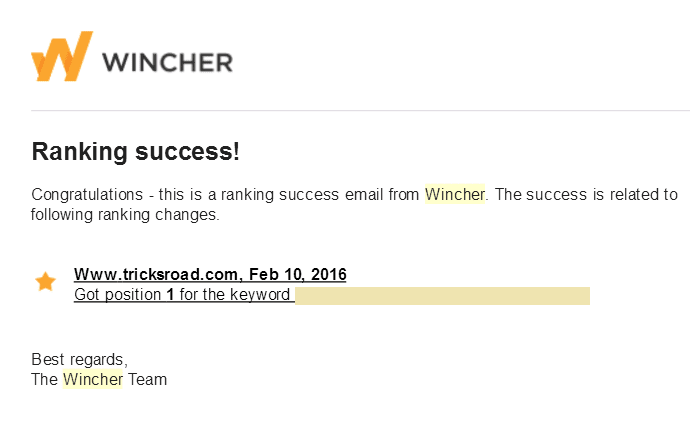 Just logged in for this tool and feed your keywords for which you want to track your SERP and it will start sending emails whenever there will be any change. One of the most difficult thing that I found in SEO is maintaining your ranking in search engine. You write an article do some initial sharing and you will find it ranking for some long tail keywords easily. But if you will not do anything for that article further, you will find the ranking down day by day. I am sure many of you are facing this issue. I was also facing the similar issue for my keywords those I was targeting and was getting down day by day and so thought to target a couple of keywords to check whether I can maintain the ranking or not. And the good thing is the above image. So here I am going to tell you what I did to recover and maintain the ranking and what you should do to maintain your search engine ranking after reaching the top in search engine. But before getting into the details on how to maintain the position, let me first tell you why it gets down in ranking. Why your keyword’s ranking goes down by time? There are a number of reasons for this and believe me you must have read all these in several other articles. Let me summarize it here. Google or any other search engines prefer the authority sites first in the search engine ranking. But making authority site is not an easy task and takes years of hard work and budget to do so. As you can see sites like SML, Quick Sprout etc. are authority sites in Blogging and Internet Marketing niche and so you will find almost every article ranked. But what about the small business owners? How can they rank and maintain the rank? This article is all about that. Here I will be taking you through 5 stunning methods using which you can maintain your search engine ranking after being at the top. 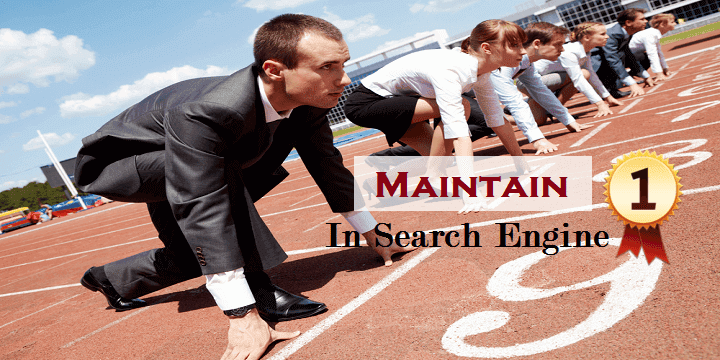 How to Maintain Top Rank in Search Engine? Here are some of the methods you should follow to maintain your ranking. Many of these you must have read many times but try to implement these and I am sure you will see the result quickly. 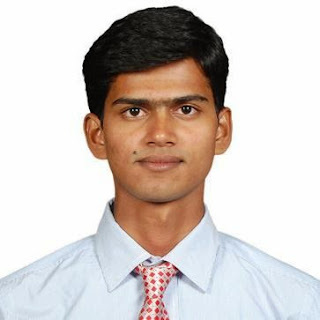 This is one of the best methods that I found to maintain the ranking in search engine. Google or any other search engine loves those site which is getting refreshed frequently or at least some regular interval of time. By this search engines want to ensure that the site is not a spam and provides value to their user. 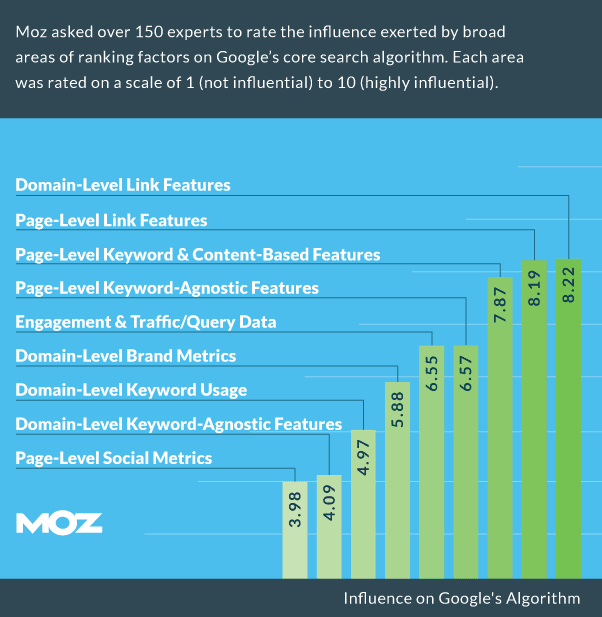 As per the Moz's search engine ranking factor 2015, the freshness of the content is a major factor in ranking. From the result, you can easily see how fresh content affect the search engine ranking. But the point is how to keep your content updated? Write an article and do initial seo what you do to rank. I am not going to say you how to rank as you already know this. I am here telling you how to maintain it. 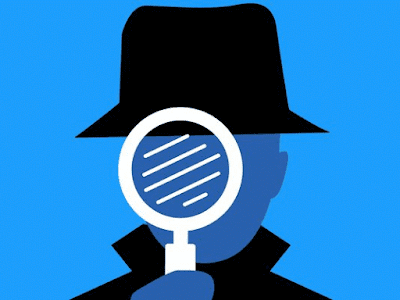 So after a month check the ranking of the keyword you targeted for that particular keyword. For this, you can take help of any tool such as RankWatch WebCEO etc. Now if you’ve maintained your ranking, it’s well and good but if your ranking has downgraded, add some content to the article not just shake to update it but add value to it. For example, if you have written an article on 5 WordPress social share plugins, then you can add a couple of more plugins which will add value to it. Social media is one of the biggest sources of traffic nowadays. A newly started site is also able to get 500+ visitors a day from different social media. 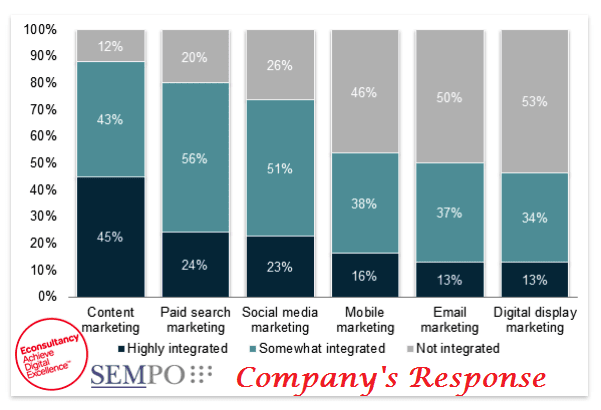 Moreover, don’t forget the importance of social signals in the ranking of the site. A search engine considers social share as a genuine method and considers this as a parameter of QUALITY. So no matter where you wrote the content, keep it updated and sharing on a different social media platform. 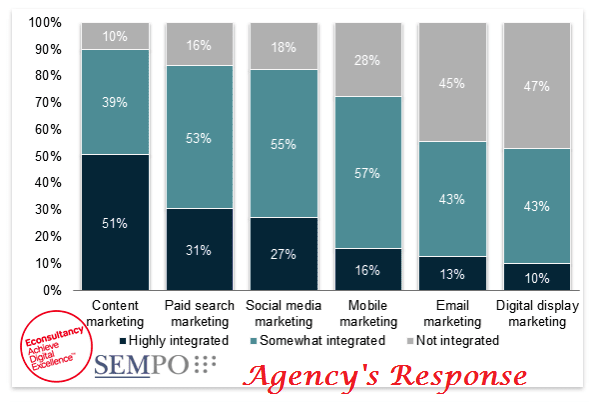 As per the research was done by Econsultancy on the state of search engine marketing, 74% companies and 82% agency accepted that social media is somewhat or highly associated with search engine ranking. There are a number of automation methods using which you can share your old posts on social media. You can check few of those methods here. To make the search engine aware that, you old posts also have lots have the value you have to keep it active and social signals are one of the best ways to do it. The above Facebook status is a post of one of the popular blogger in the blogosphere and just see how softly he has tried to make a buzz for his next post & webinar and don’t forget to check the engagement on the post. I really liked this idea…do not you think so? First, make the buzz and then share. Comment the link you will share in the previous post also. There are many tools to automate this process and I personally use Hootsuite for this work and even a free version of this tool worth, if you are not willing to buy the pro version which is highly recommended. Nowadays, you must be seeing your Facebook feed full of one term “Content Marketing”, if you have a friend from internet marketing niche…right? 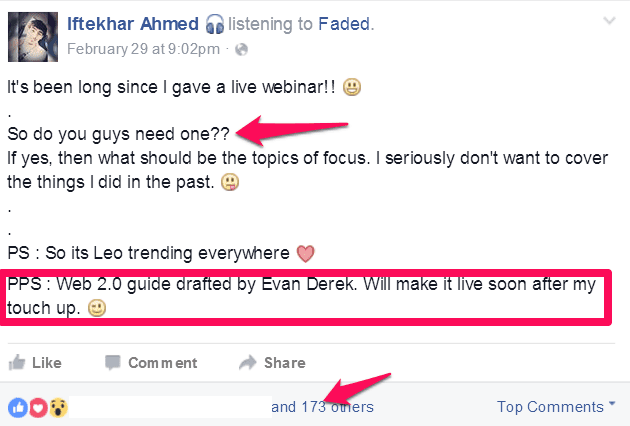 Every top marketer like Neil Patel, Harsh, and other great minds praise content marketing and say this is future of SEO. But why? As per Content Marketing Institute, “Content marketing is a strategic marketing approach focused on creating and distributing valuable, relevant, and consistent content to attract and retain the audience” and that’s true. So you should add some visuals in the older posts as well so that it can attract more visitors. One best thing that you can do for the old posts in terms of content marketing is, make an infographic or video about the old posts and share it across the different platform like social media, email subscribers etc. and just see the result. Be sure to get some good links and shares which will drive both traffic and ranking for your post. The above screenshot is from Wikipedia. I just searched “Online advertising” term in Google and found Wikipedia ranking at first (of course not a wonder!). Now just check the number of internal links in just one paragraph. There are plenty of it. This tells the search engine that the other pages (which has been interlinked) is also equally important and hence send the positive signal about those pages to the search engine. Which in turn helps to rank. • Engage your visitors to stay longer on site which decreases the bounce rate which is again a ranking factor. With the frequent updates from Google, link building is not that easy what it used to be and so be careful while doing it. This is why I have kept it at the last for the already ranked post. But no doubt, Link building is still the number #1 ways of SEO. Here I am not telling you to build the link simply but to spy the link. Check the link of your competitor for especially those are ranking ahead of you (in case you are not at the first position) and maintain the similar kind of links on that site (must check the site’s quality before making those links). You can take help of many link building tools to spy your competitor’s backlink. I personally use Ahrefs for this. These tools also show you the stats of sites from where links are coming like DA, PA, and Trust Factor etc. which helps you to estimate the quality of the site. If these stats are good, proceed and make links and see the boost in your ranking or maintain your ranking. These were some of the ways using which you can maintain the top ranking in search engine. I worked on a couple of keywords exactly in same ways and have received good result so far. What do you do to maintain your ranking?